All three of my children love the popular PBS children’s show, Dinosaur Train. My three year old son in particular is very fond of the main character, that adorable little dinosaur named Buddy. I was excited to learn that Kids with Character is releasing a new summer line of Dinosaur Train apparel this August and September at Kohls and Kmart. Just in time for back-to-school, children everywhere can look stylish in clothing featuring their favorite characters from Dinosaur Train. Jacob and his siblings were signed up to attend Vacation Bible School recently and my shy, reluctant three year old was tearful and refused to go. I presented him with two new outfits from the Dinosaur Train apparel line and told him that he could pick the one that he wanted to wear and that Buddy would “go with him” to the event. He suddenly perked up and dried away his tears as he selected to wear this adorable two piece shorts and t-shirt set. The pants and shirt are very comfortable and designed in a light-weight, soft fabric that is also easy to care for. I was quite impressed that the sizing was spot on because I normally have to buy up to the next size for clothing that fits Jacob and this set in a size 3T fit nicely with room to grow. 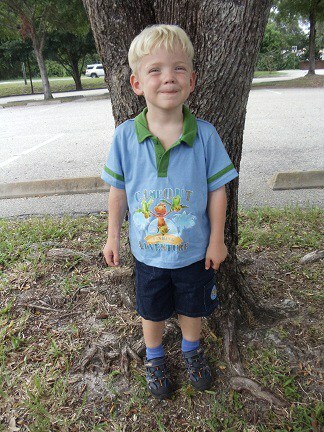 The next day, Jacob was quite stylish in his 3 piece “Explore” Dinosaur Train apparel set that includes the character themed pair of shorts, t-shirt and button down shirt. 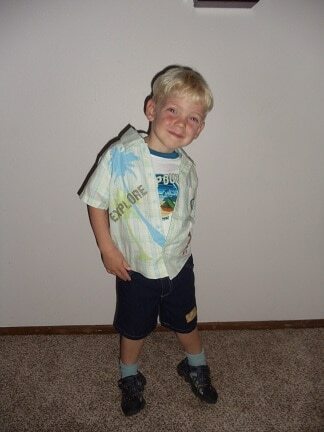 He was beaming with confidence and expressed that he couldn’t wait to “show his new Buddy clothes to his friends and teacher” at VBS. If you have any little Dinosaur Train fans in your home too, you won’t want to miss the Dinosaur Train apparel collection from Kids with Character available at Kohls and Kmart coming in August and September 2011! Connect with The Jim Henson Company on Facebook and Twitter! Connect with PBS Kids on Facebook and Twitter too!